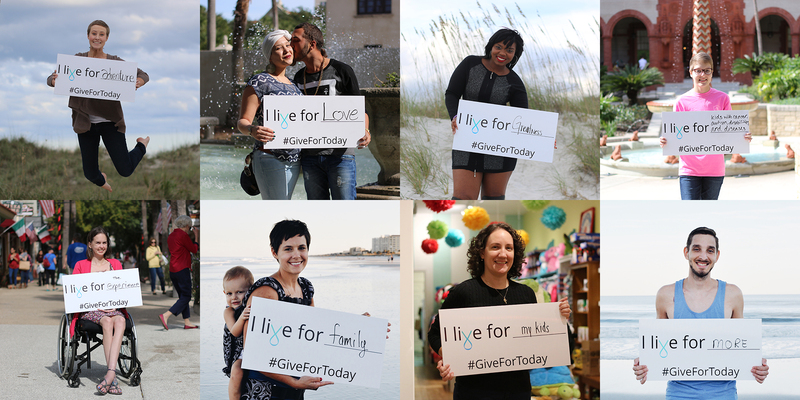 Live For Today Foundation, Inc. is a non profit organization based in Jacksonville, FL whose mission is to help young adults with cancer by providing dynamic opportunities, fostering community support, and promoting healthy living. Our organization was co-founded by three young adults who each battled cancer and during their treatments gained a unique perspective on living each day to its fullest. As a young adult, cancer interrupts an already complex stage of life. Graduating, transitioning from school to career, navigating new relationships with family, marriage and children, home buying, and settling into your own independent life all tend to happen during the prime ages of 18 to 35. A cancer diagnosis can send someone’s world into a tailspin. We hope to create a newly awakened sense of hope and joy for life during this difficult time by encouraging our members to stop letting cancer define their lives and start living for each day. Life Adventures provide our members with a rewarding and unforgettable experience. Member Support inspires friendship through group activities and a buddy mentorship program. Lastly, the Healthy Living program encourages the general health and well-being of our members through partnerships with yoga studios, fitness centers and spas.